Melamine in soup bowls may seep into our bodies: Is it safe? Melamine, a chemical found in bowls, plates and other tableware may leach into our food and make its way into our bodies, potentially raising risks for health problems. That's what a new study of soup-eaters suggests. Taiwanese researchers enlisted a group of 12 healthy men and women who ate noodle soup in either a bowl made of ceramic or one made of melamine. They found measurable levels of the chemical additive in the urine of those eating out of the melamine bowl. "The amount of melamine released into food and beverages from melamine tableware varies by brand, so the results of this study of one brand may not be generalized to other brands," wrote the study's authors, led by Dr. Chia-Fang Wu, a researcher at Kaohsiung Medical University in Taiwan. "Although the clinical significance of what levels of urinary melamine concentration has not yet been established, the consequences of long-term melamine exposure still should be of concern," they concluded. The study was published Jan. 21 in JAMA Internal Medicine. Melamine is a flame-retardant chemical used to make adhesives, industrial coatings and certain types of plates, cooking utensils and other plastic products. The chemical made headlines in 2008 when some China manufacturers of infant formula added melamine to watered-down milk to trick tests measuring protein. Some 300,000 babies became sick after consuming the tainted formula and milk, and six died. The chemical has also been linked to kidney and bladder stones (urolithiasis), kidney failure and even cancer in animal studies, according to the World Health Organization, but research on human exposure is lacking. Study participants were randomly assigned to eat soup out of either a melamine bowl or ceramic bowl, then after a three-week period, were asked to switch. Their urine samples were collected about 12 hours after eating. The researchers found on overage, people who ate out of melamine bowls had 8.35 micrograms of the chemical in their urine, compared to 1.31 micrograms of the chemical found after eating from a ceramic bowl. Dr. Kenneth Spaeth, director of the Occupational and Environmental Medicine Center at North Shore University Hospital in Manhasset, N.Y., tells CBSNews.com that melamine may leach out of tableware if the food is especially acidic, tableware is damaged and if the products are used when serving or reheating hot foods. Spaeth, who was not involved in the study, said it would be an "overreaction" to tell people to avoid all melamine plates and dishes, since the study did not look at safety and toxicity of the product. However, the study did suggest people eating from the products are getting exposed to the chemical, he said. "It's a pretty strong link to see high levels after that," said Spaeth. ""It's reasonable to have some concerns of what exposure could be happening, and the impact it could have on human health." 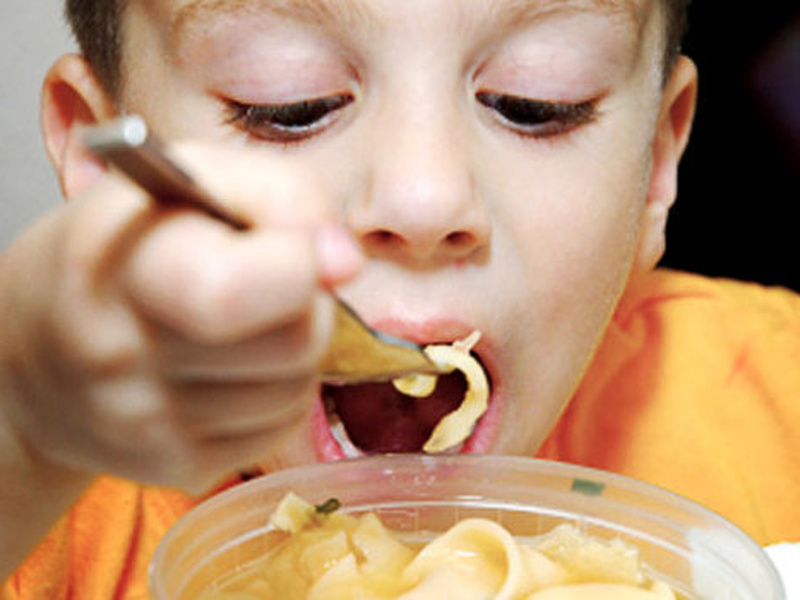 Whereas other chemicals that may enter our bodies through food -- like BPA (bisphenol A) and phthalates -- are more ubiquitous in the environment, Spaeth said melamine exposure is often more restricted to certain types of containers or tableware that can be avoided. The U.S. Food and Drug Administration (FDA) says previous tests suggest the amount of melamine that gets into a drink like orange juice is 250 times lower than the level the agency has concluded is acceptable in foods other than infant formula. The FDA adds that more exposure is possible when highly acidic foods are heated in microwave ovens. "Only ceramic or other cookware which specifies that the cookware is microwave-safe should be used," according to the FDA. "The food may then be served on melamine-based tableware."